If you had a web business for some time, you’ve probably heard of Alexa rank. It is one of the most popular (but definitely not the best) internet marketing tools. With Alexa.com you can check popularity of a site. As such, it is a good way to measure successfulness of search engine optimization. Alexa traffic ranks are based on two sets of data: total number of unique visitors as well as page views. In other words, top ranked sites are not only able to attract new users but also have quality content that is able to keep people on site. Rank on Alexa.com is calculated based on global data that was accrued over last 3 months. Traffic rank is updated daily which makes it pretty accurate. If you open a same page several times during a day, system will count it as a single view. In other words, you will not be able to click on a same page several times and thus increase view count. This is a great way to prevent a user from artificially boosting stats. However, visitor can directly improve online rankings if he visits different pages. This service can be used free of charge through Alexa’s website. All these simple services and features come through a small toolbar which makes it more appealing. Besides that, Alexa also offers some SEO tools of their own. With all that being said, why is this company and their ranking system so much criticized? 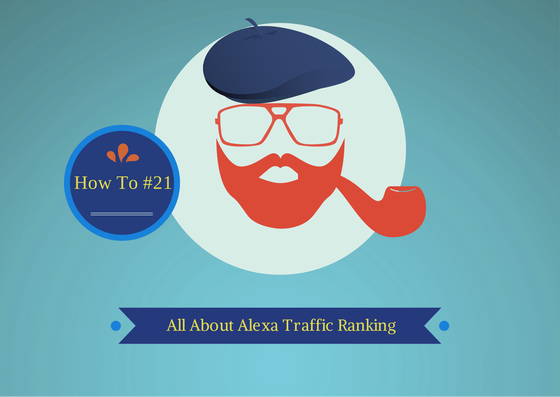 What is the main issue with Alexa ranking? For some time now Alexa’s traffic estimates have been shunned by SEO community and for a good reason. First and foremost, Alexa has several issues when collecting global data. It can only collect data through several extensions and from few million users who have these extensions installed. While these few millions are a great starting point, it is far from a good assessment. Because of this, rankings may be severely off in some cases especially for websites ranking from 100,000 and above. Alexa won’t have enough data any most rankings will be nothing more than an approximation. Based on my experience there are numerous tools that do better job than Alexa. First being Google Search Console which provides a really accurate Google traffic values even though it doesn’t show your global ranking. AhRefs also does a good job. In that regard, there isn’t a real reason why you should use Alexa in the first place. Actually, this tool serves more as an ego boost showing site’s global rankings. Another big flaw of this tool is that it doesn’t show traffic itself (which is a bit absurd). Given that this is a rank checker based on traffic, it doesn’t make sense not to show traffic given that this is the main reason why you’re browsing in the first place. All in all, Alexa is nothing more than an average tool. While it was really popular at one point during its existence, it is no longer so. Having in mind that precision is crucial for search engine optimization Alexa cannot satisfy SEO experts’ demands. In the end, there are much better tools for assessing traffic and user engagement. Do you often use Alexa rank? What is your personal opinion on it? If you liked this post, don’t forget to follow us on social media such as Facebook and Twitter! Liked our article? Check out more on our blog. And don’t forget that sharing is caring. What is Text to HTML Ratio? Does it Affect Your Content?